Automotive retailer group Vertu Motors has posted record revenue and profits for the year ending in February 2016, reports CarDealer magazine. According to the company’s recently announced financial figures, pre-tax profits have jumped 24 per cent from £21 million to £26 million. Meanwhile, revenues also climbed from £2.07 billion to £2.42 billion during the same period. If confidence in the car dealership market has encouraged you to add more vehicles to your showroom, be sure to check you have adequate levels of insurance to cover your new stock. As well as your general motor trade insurance and road risks insurance, you should consider upgrading to a combined motor trade insurance policy, which protects the facilities as well as the contents of your site. 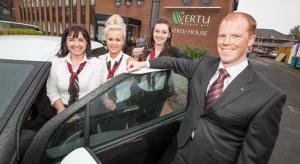 Vertu Motors, which operates 127 sales and aftersales services across the UK, has added 16 car dealerships to its business since March 2015. The additional showrooms were for brands such as Land Rover, Audi, Volkswagen, Mercedes-Benz, and Honda, among others. Due to its expansion and a drastic improvement in its aftersales business, gross margins have risen to 44.8 per cent. The previous year’s figure was 43.5 per cent. Furthermore, the car dealership group says that it has £35 million in the coffers to continue its expansion plans. Robert Forrester, the chief executive of Vertu Motors, said of the record figures: “We have delivered significant revenue growth which, together with tight control of costs, has resulted in record profitability.